I paint objects as I think them, not as I see them. Pablo Picasso Quote. 1973 - Picasso dies on April 8. 1966 - There is a major Picasso retrospective in Paris. 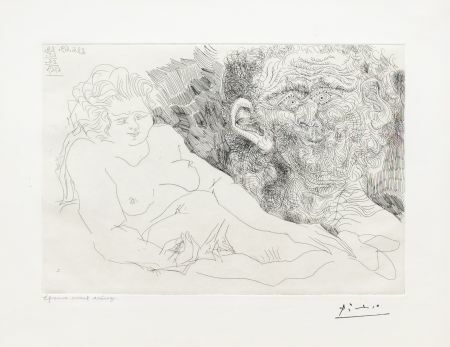 1961 - Picasso marries Jacqueline. 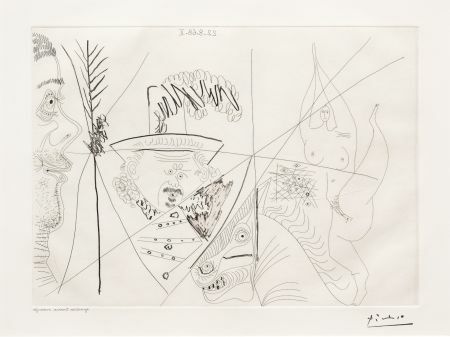 1956 - Along with other intellectuals, Picasso requests the convocation of a special meeting of the Communist Party after the invasion of Hungary by the Soviet Union. Picasso was a member of the Communist Party since 1944. 1953 - Separation from Françoise Gillot. The following year, Picasso meets Jacqueline. 1949 - Picasso creates a lithography called "The Dove" which will become the symbol for the Peace Congress which is held in Paris. 1947 - Picasso’s son, Claude is born. His mother is Françoise Gillot. 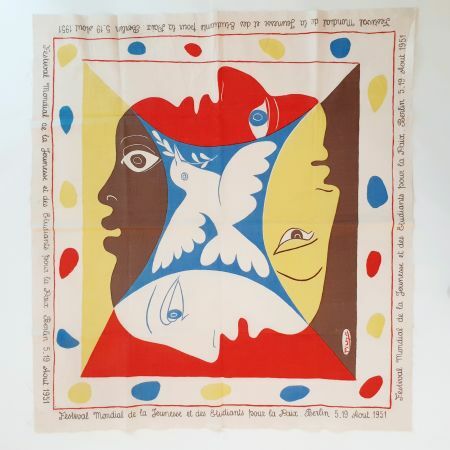 1945 - Beginning of the collaboration between Fernand Mourlot and Picasso. 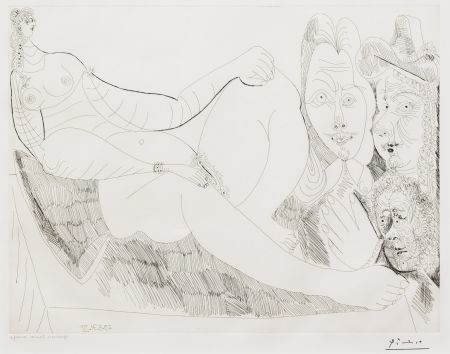 More than 200 prints will be created by Picasso in the printing studio. 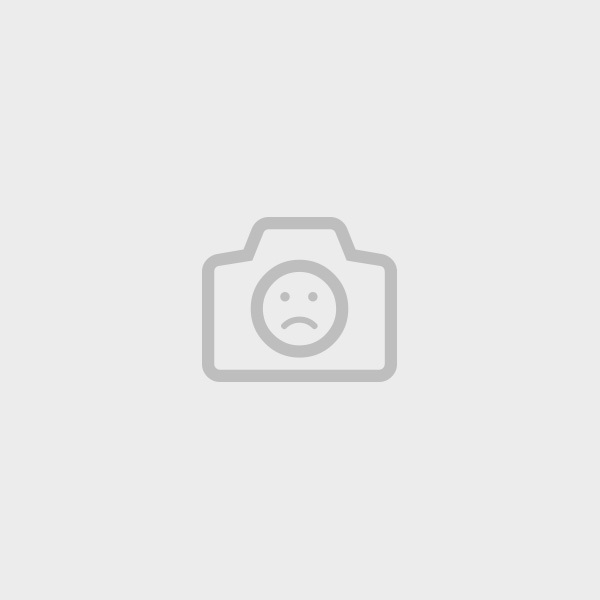 1936 - The Spanish Civil war begins. 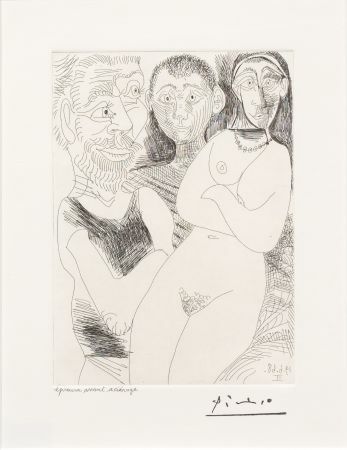 Picasso has a relationship with Dora Maar. Next year, Picasso paints "Guernica". 1935 - Maya is born to Picasso and Marie-Thérèse. Picasso and Olga separate. 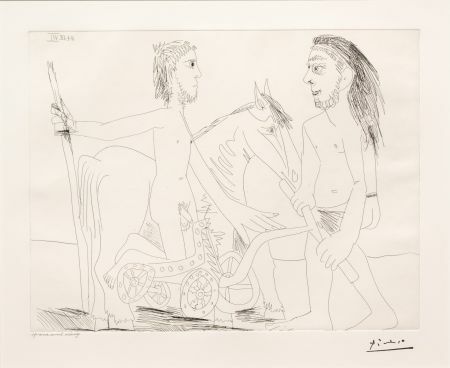 Picasso meets and establishes a friendship with Paul Eluard. 1932 - First major retrospective at the Zurich Kunsthaus in Switzerland. 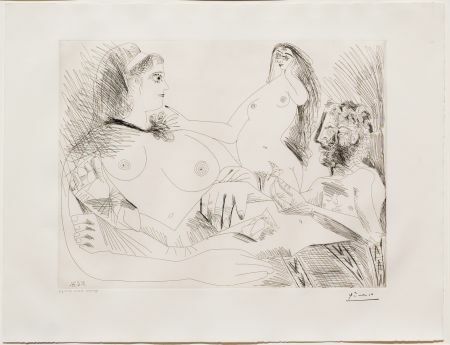 1930 - Picasso creates the engravings for the “Metamorphosis of Ovid” which celebrates his secret love for Marie-Thérèse. 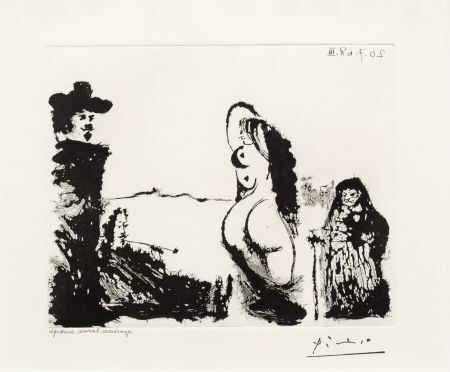 1927 - Picasso meets Marie-Thérèse. 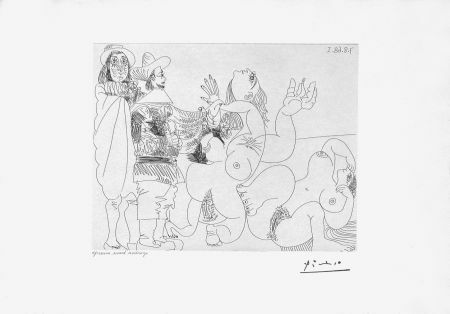 1923 - Picasso meets Breton who succeeds in convincing the patron Jacques Doucet to buy "The Ladies of Avignon". 1921 - Picasso’s son, Picasso Paulo, is born. 1918 - Picasso marries Olga Kokhlova. 1916 - Picasso creates the set designs for Diaghilev’s ballet entitled "Parade". 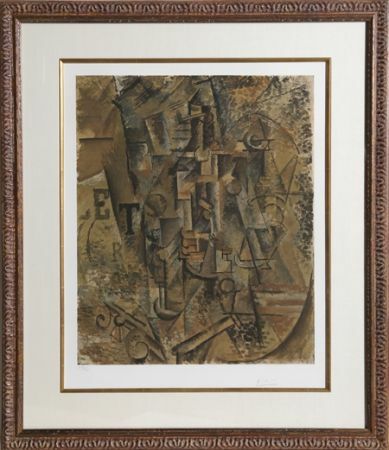 1914 - Picasso invents cubism along with Braque. 1912 - Picasso creates his first collage. 1907 - Picasso paints "The Ladies of Avignon". 1901 - First Picasso exhibition at Vollard and the beginning of the blue period. 1900 - Picasso represents Spain at the Paris Universal Exhibition with his "The Final Moments" painting. 1895 - Picasso begins senior studies at La Lonja in Barcelona where his father is teaching. 1892 - Picasso enrols in the Corogne School of Fine Arts. 1881 - Pablo Picasso is born in Malaga, Spain. His father is a design instructor. 1911 - "Pablo Picasso", Photo-Secession Gallery, New-York, USA. 1921 - "Pablo Picasso", Leicester Gallery, London, England. 1932 - "Picasso", Kunsthaus Zürich, Switzerland. 1938 - "Picasso and Matisse", Museum of Modern Art, Boston, USA. 1939 - "Picasso, 40 years of his art", Museum of Modern Art, New-York, USA. 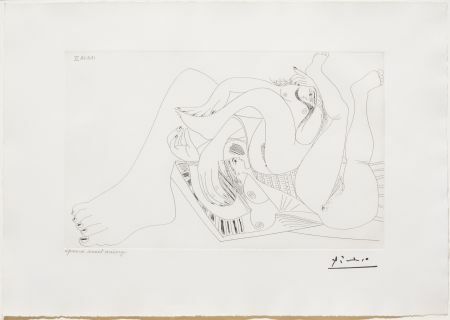 1948 - "Picasso, 55 lithographs 1945 - 1947", The Art Concil, London, England. 1953 - "Picasso", Beaux-Arts Museum, Lyon, France. 1954 - "Picasso", Museo de Arte Moderna, Sao-Paulo, Brasil. 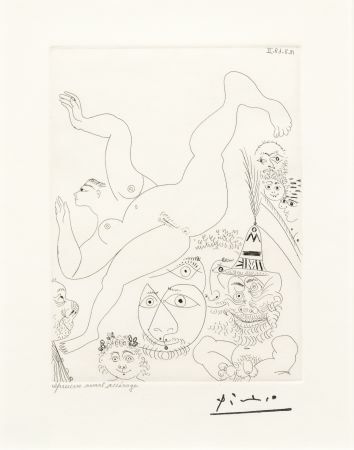 1955 - "The graphic works of Pablo Picasso", Museum Rath, Geneva, Switzerland. 1956 - "Picasso : Guernica", Palais des Beaux Arts, Brussels, Belgium. 1962 - "Picasso. An American Tribute", Museum of Modern Art, New-York, USA. 1966 - "Hommage à Pablo Picasso", Grand-Palais and Petit-Palais, Paris, France. 1967 - "The sculpture of Picasso" Museum of Modern Art, New-York, USA. 1970 - "Picasso, works from 1969 to 1970" Palais des papes, Avignon, France. 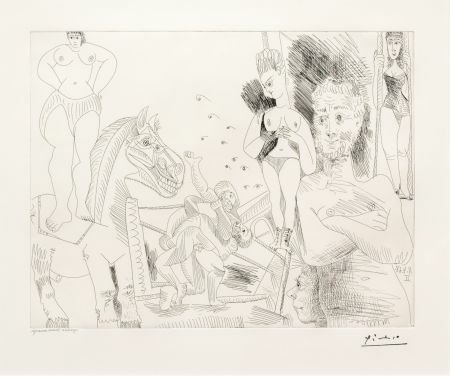 1975 - "Le siècle de Picassso" from Pierre Cabanne, Ed. Denoël. 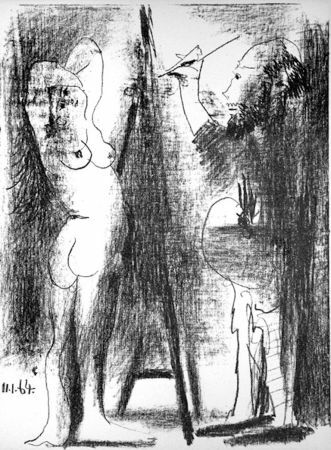 1978 - "la vie de peintre de Pablo Picasso" from Pierre Daix, Ed. du Seuil. 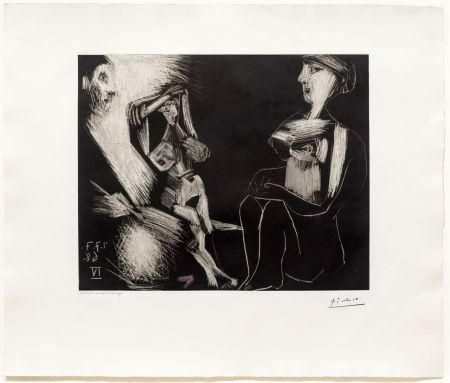 1980 - "Voyage en Picasso" from Hélène Parmelin, Ed. Laffont. 1956 - "Bibliography of the illustrated books by Picasso" from Henri Matarasso, Ed. Matarasso. 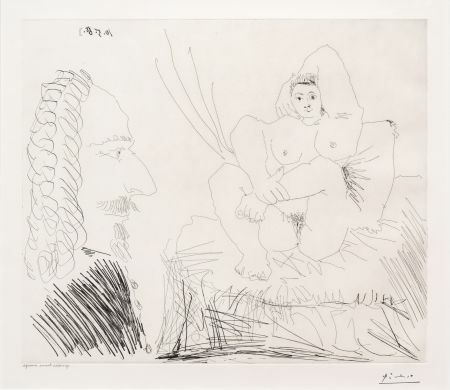 1978 - "Pablo Picasso" by Christian Zervos, Ed. Cahiers d'Arts. 1980 - "Tout l'oeuvre peint de Picasso, périodes bleues et roses" by Moravia, Ed. Flammarion. 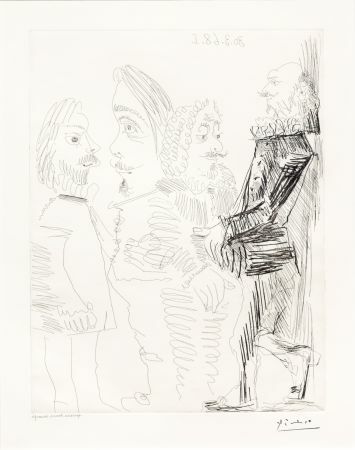 1961 - "Les Picasso de Picasso" from David Douglas Duncan, Ed. Bibliothèque des Arts. 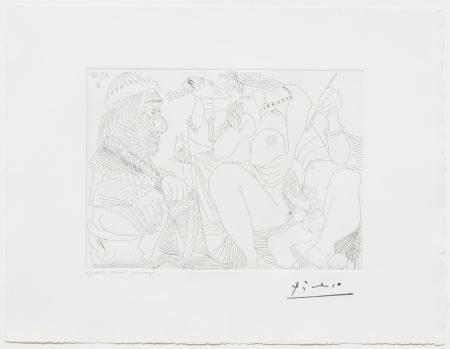 1985 - "Picasso, terre-soleil" by Claude Fournet, Ed. Galilée. 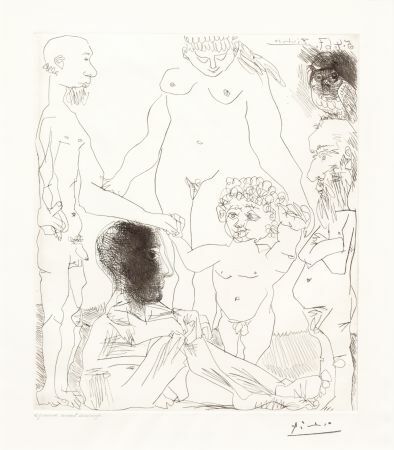 1975 - "The century of Picasso" by Pierre Cabanne, Ed. Denoël. 1940 - "Picasso" by Jean Cassou, Ed. Hyperion. 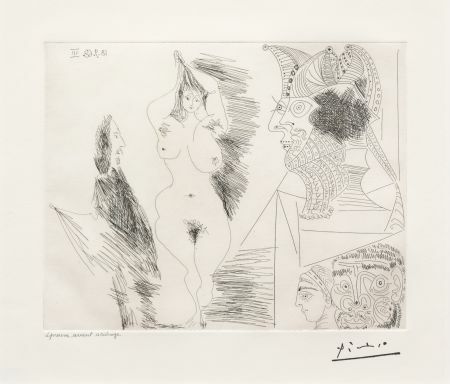 1964 - "Picasso, l'homme et son oeuvre" by Pierre Daix, Ed. Somogy. 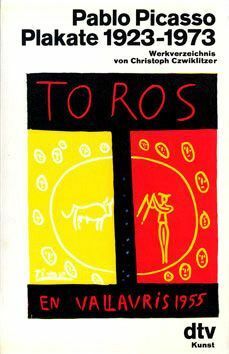 1961 - "La vie et l'oeuvre de Picasso", by Roland Penrose, Ed. Grasset. 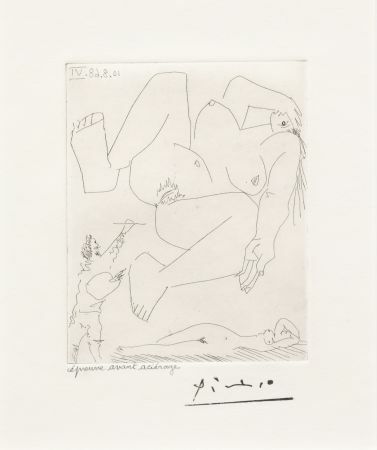 1953 - "Picasso" from Maurice Raynal, Ed. Skira. 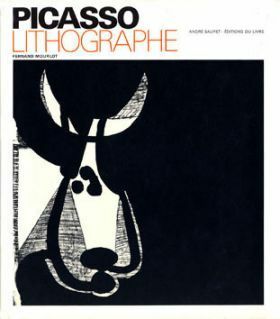 "Picasso, catalogue de l'oeuvre céramique édité", catalogue made by Alain Ramié, Madoura publisher. 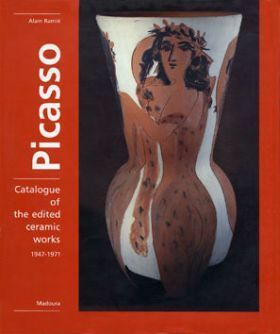 It is the complete list of all the ceramics of Pablo Picasso. About 300 ceramics are in this book. 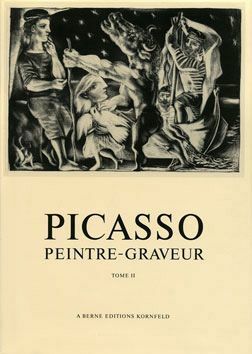 "Picasso - Peintre Graveur", in 7 volumes, (here the book n°3), reproduce and describe all the original etchings by Picasso (more than 2000 !). This complete catalogues had been made by Brigitte Baer for Kornfeld. 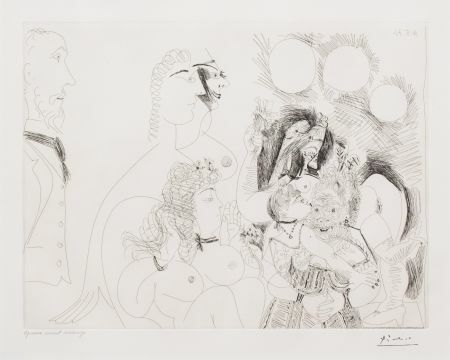 "Picasso lithographe" reproduce all the original lithographs realized by Picasso between 1920 and 1969. 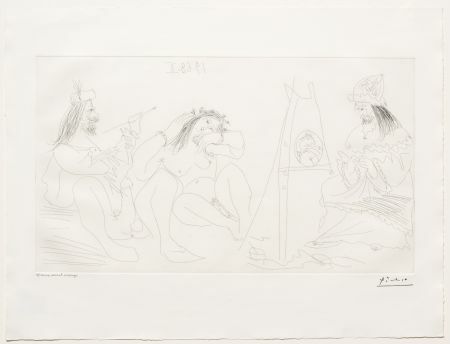 Picasso made during this period more than 400 lithographs, most of them in Fernand Mourlot workshop. Catalogue published by Sauret. "Pablo Picasso, plakate 1923 - 1973" catalogue made by Christophe Czwiklitzer, which list all the posters made by Picasso, original or not. 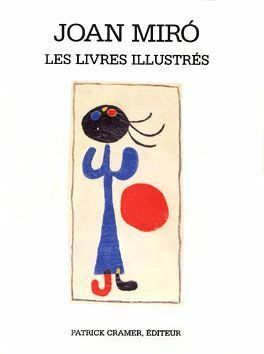 "Pablo Picasso, les livres illustrés" all the illustrated books by Picasso are in this catalogue made by Patrick Cramer.